The Malaysian crypto space community has for the last couple of months been, super active and excited. GLITZKOIN has taken the lead in explaining, the concepts of blockchain and crypto currency at shows and press conference across Kuala Lumpur. The response from the Malaysian public and private sector has been impressive. When Navneet Goenka CEO GLITZKOIN arrived at the 8th June event in Kuala Lumpur, he refused to talk about his passion for the diamond industry and his keen involvement with the GLITZKOIN diamond blockchain. The generally high profile diamond veteran, was not even one of the VIP invitees for the evening. 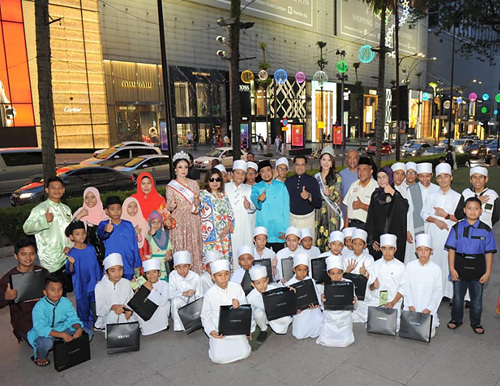 It was clear from the beginning of the event that, the group of underprivileged kids from the Akademi Tahfiz Darul Abrar were the only VIPs for the event. The open foyer at the Starhill Gallery (KL), was all dressed up to welcome the young VIPs. 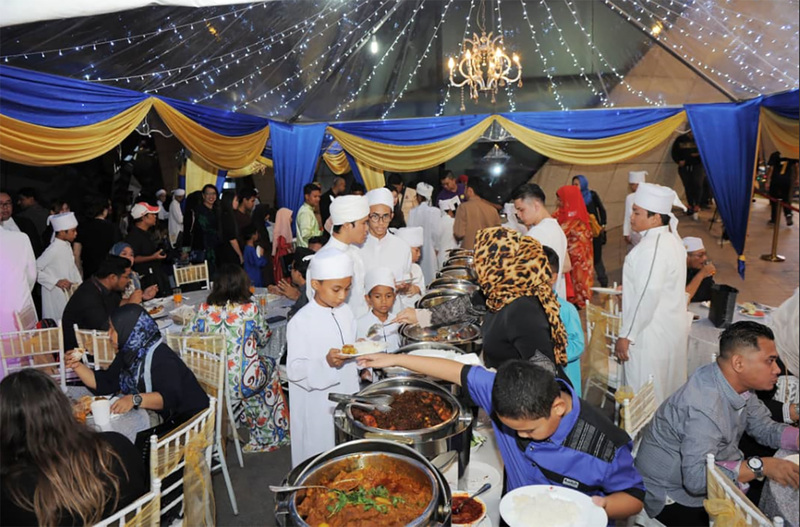 A charity ‘breaking the fast’ feast was organized by GLITZKOIN and other business establishments from Malaysia. The neatly laid out tables, overflowed with some of the most delicious Malaysian and Middle Eastern food dishes. The supervisor from the Academy accompanying the children mentioned that, ‘… many of the children would have never seen so much food in their life…’. The smiles on the faces of the children and the innocent chatter that filled the air, impressed CEO Navneet Goenka. He promised that while this was the first time that his business group had arranged a Buka Puasa (breaking the fast) feast, it would now become a regular feature. On being asked why a charity event was organized in such a posh Kuala Lumpur locality, his answer echoed simple logic and keen observation. Businesses should do their part in helping the less fortunate in society, he said. And many of Malaysia’s leading business conglomerates have their base or operations around this area. The ADUN from Meru (Selangor) YB Ustaz Mohd Fakhrulrazi Mohd Mokhtar also graced the occasion with his presence. Despite the urbane look and highly contemporary setting for the evening, traditions and customs were not ignored. The young VIPs and other guests were dressed in traditional clothes. The ADUN from Meru (Selangor) and the GLITZKOIN CEO, were on the stage to hand out the ‘goodie bags’, the excited kids excitedly waited their turn to walk up and receive their special bag. Many of them could be seen hurrying back to their seats to get a peek of their gifts. It had been a wonderful evening, the excitement and joy clearly showing on the little faces was priceless. As Navneet Goenka and the other seniors, left the venue they surely had something on their mind – about tomorrow, a better tomorrow for ‘everyone’. A small step had been taken but a lot more remained to be done.